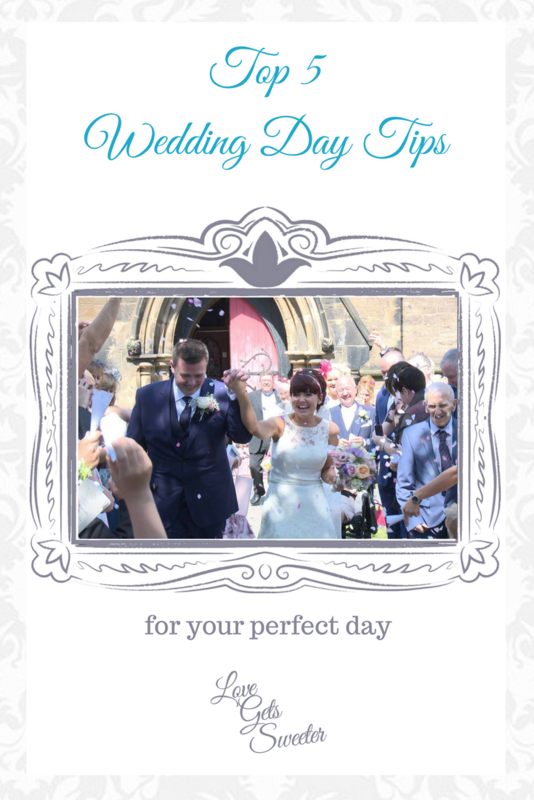 There are a lot of wedding tips and words of advice from magazines, bloggers and even friends and family to ensure you have the perfect wedding day. Things from how to know your dress is ‘The One’ to helping you pick your first dance song. These top 5 wedding tips are the ones that prove the most useful time and time again for my Bride and Groom’s. Every pre-wedding meeting we have, every email as we get closer to the wedding I share these random gems and they are the ones that get remembered after the day! They may seem a bit random but I can assure you, you’ll thank me for them! This is one that was shared with us before we got married, along with the statement we all hear ‘your day will go so fast!’. You really can’t imagine how fast until your actual wedding day, it’s seriously fast! Taking those few moments away from your guests, be it for some romantic photos then hanging back a little for a chat on the garden bench (like Clare and Chris above) you will find it kinda hits pause on the day and allows bits to sink in properly. 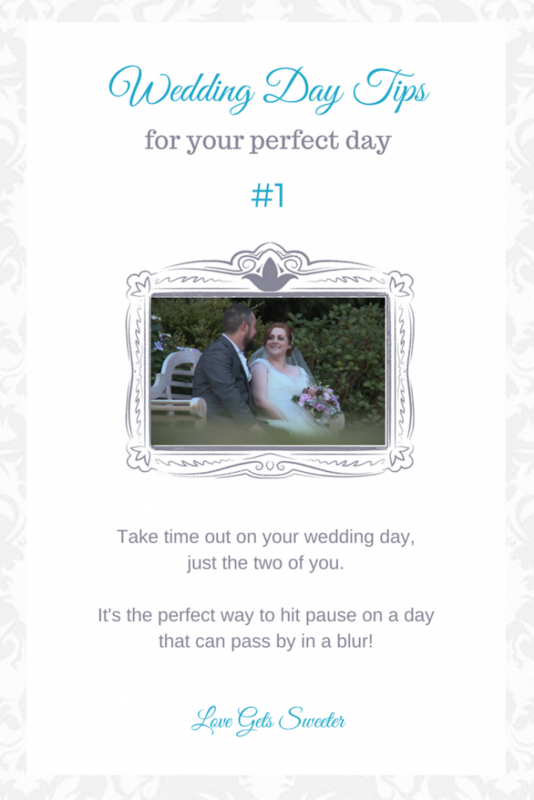 Obviously failing all that you have your wedding video to remind you of bits you’ve forgotten or missed but my couples always find this perfect for holding on to memories of the day on the day itself! Recommendations are a great place to start when searching for the perfect supplier. 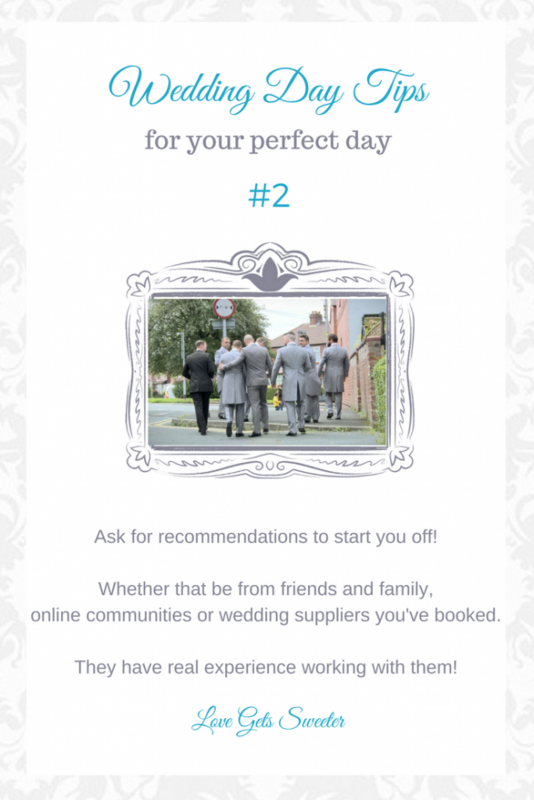 Sometimes you’re the first to get married or maybe the recommendations you have been given aren’t quite… you. Then it’s time to utilise some other options before attempting Google! Maybe check in with wedding suppliers you have booked in already. They will have people that they really enjoy working with and have seen their work on the day (and after) first hand so a great resource to tap in to! If you head over to my ‘Suppliers I Love‘ page I have some of my favourites there too! There’s also places like wedding blogs (I particularly love Adored Bride and Brides Up North) where you can see real weddings. Wedding directories and online wedding planners have even come on over the years and sites like Bridebook are perfect for keeping all your wedding details and bookings in one place! My bride Weinee didn’t even realise this was a ‘thing’ and thanked me after the day for this useful tip! And to be fair, neither did I until I was handed my Nana’s stunning navy blue pearls one Christmas for a party! 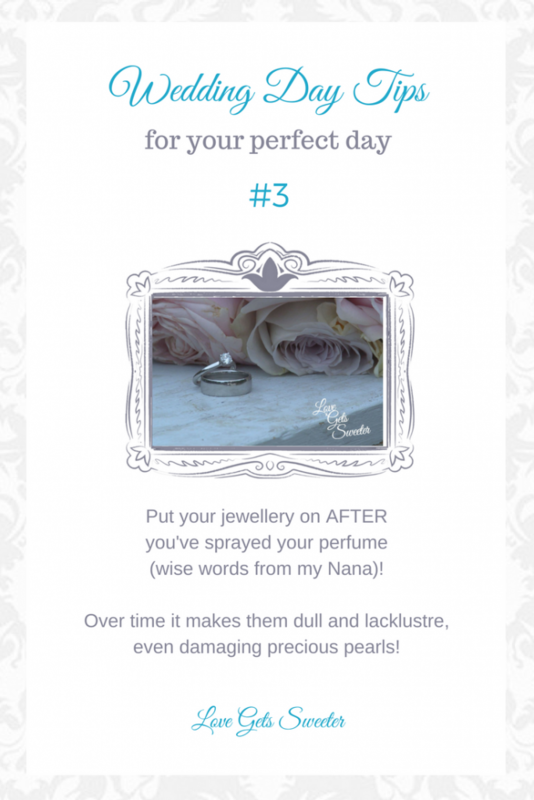 Spraying perfume on or near your jewellery can make them dull and lacklustre, especially pearls, so it’s always worth remembering to have your jewellery as your finishing touches AFTER the perfume! BONUS TIP: Spray your perfume on to your train and veil, it’ll give lovely trail of pretty perfume as you walk down the aisle and for the rest of the day! I’ve lost track of how many times I’ve forgotten to take my socks off in time and been left trying to massage the marks out of my skin before dashing out the door for a night out, how about you? Same goes for bra straps. With so many dresses being strapless it’s helpful to remember either to wear your strapless bra (or even go without!) on the morning of the wedding to prevent any lovely red marks on your shoulders when it comes to getting your wedding dress on! 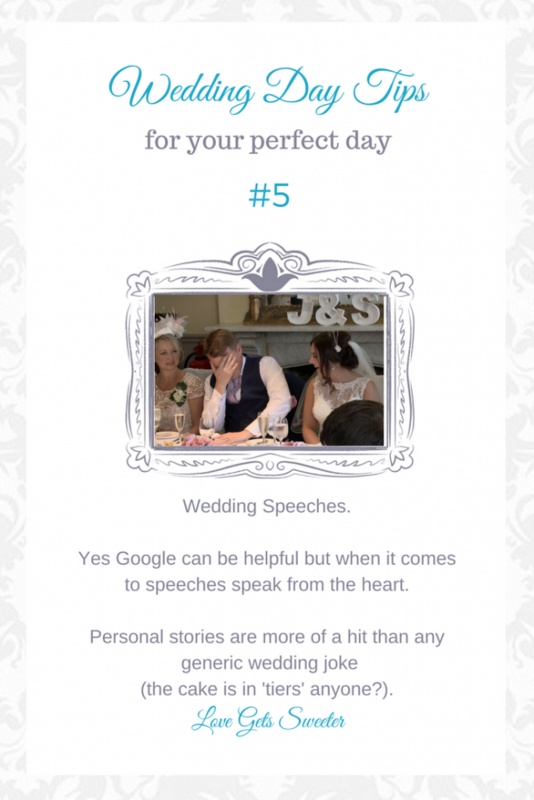 Whether you’re a wedding supplier, a serial wedding guest/bridesmaid or love watching a good wedding speech on YouTube (THAT speech from Tom Fletcher springs to mind!) you will start to hear the same sort of thing, the same jokes…and it’s thanks to Google I imagine! The BEST wedding speeches I hear, the ones that I remember all these years on (and the ones your guests will remember too) are the ones that remain personal. With stories of how you guys met, that time when you may have actually turned them down the first time they asked you out, the (not so) romantic proposal story (because everything seemed to go wrong and it was more like a rom com film than the romantic moment they’d planned for months) and all the totally natural and actually funny stories in-between. They’re the ones we all love to hear! Keep it you! I’ve filmed some amazing speeches over the years so if you’d like to see a few of the ‘best bits’ in my favourite feature films email me! I’d love to send you a few links to watch!